SEOUL -- SPC, a leading food and confectionary conglomerate known for South Korea's top bakery franchise brand Paris Baguette, teamed up with a domestic mobile carrier to launch a smart bakery system featuring artificial intelligence and other advanced technologies. SPC said in a statement on Tuesday that under a memorandum of understanding, LG U+ will provide AI, internet of things (IoT) and other technologies next month at seven Paris Baguette stores selected for the group's test project. "The establishment of the smart bakery system will grant us an opportunity to upgrade our services and improve the convenience of customers," Kwon In-tae, president of SPC's bakery wing Paris Croissant, was quoted as saying. 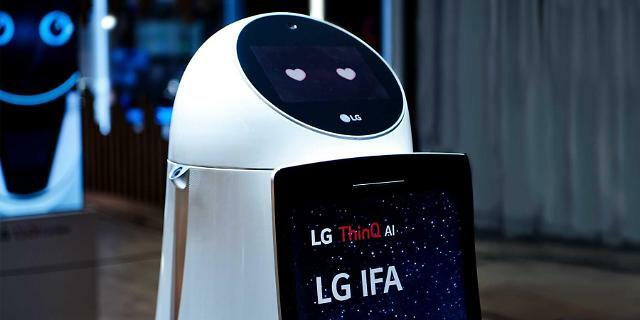 The next-generation customer service will be provided through LG's ClOi Home service robots mounted an AI platform developed by Naver, South Korea's web service giant. The robots will welcome and bid farewell to customers, help with the selection of products and entertain children. At Paris Baguette's flagship store in southern Seoul, an AI robot will control an air conditioning and purifying system based on information collected by IoT devices such as smart plugs and air quality sensors. 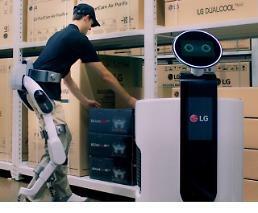 CLOi is a lineup of intelligence service robots developed by LG Electronics. CLOi robots are in service at Incheon International Airport, South Korea's main gateway, to guide tourists.